Chi Phi is a National Men’s College Fraternity and is an associate chapter of Penn State’s Interfraternity Council. Since 1824, Chi Phi has sought to mold better men and better our communities through community service and philanthropy. One philanthropy we take great pride in is the Penn State Dance Marathon, the largest student run philanthropy in the world. 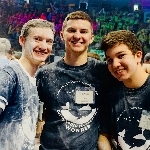 The Penn State Dance Marathon (THON) is a 46 hour no sitting, no sleeping dance marathon. THON weekend takes place the second to last weekend of February and all money raised goes to the Four Diamonds Fund. The Four Diamonds Fund directly benefits families with children suffering from pediatric cancer by paying for all treatments and expenses, so families can focus on their child’s treatment. Four Diamonds families don’t ever pay a dime! 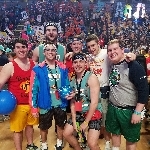 Along with over 16,500 student volunteers, Chi Phi works to support the many families who go through Penn State Children’s Hospital in.Hershey, PA. Despite advancements in research and treatment, childhood cancer remains the #1 disease killer of children in the U.S. – more than asthma, cystic fibrosis, and diabetes combined. To date, THON has raised over 147 million dollars and has help over 3,700 different families in the fight against cancer. Ever since our re-colonization in 2012, we have continued to substantially increase our THON fundraising total each year. Each year we strive to do better and raise as much as possible so that THON can continue to give 100% coverage to all childhood cancer patients who go to Penn State Children’s Hospital. We have been lucky enough as an organization to have been paired with 3 amazing families-the Josiah Garcia family, the Miranda Ziegler family, and the Megan Martin family. We have been extremely lucky to have been paired with Josiah and his mother, Erika, since 2012. Josiah was diagnosed with T-Cell Acute Lymphoblastic Leukemia in July 2014 at the age of 9. We are so excited to announce that at the end of October of this year he finished treatment! Josiah loves video games, nerf guns, music, and dancing. 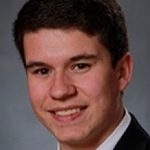 He is a huge Penn State football fan and cannot wait to attend Penn State as a student and a brother of Chi Phi. Thanks to our new pairing with the Omega Phi Alpha sorority, we have been blessed to have added another family to our organization, the Miranda Zeigler family. In 2008, Miranda was diagnosed with Acute Lymphoblastic Leukemia. After just 5 months and 3 weeks after diagnosis, Miranda passed away. Although she is no longer with us, Miranda continues to be an inspiration to our organization. To this day, Miranda’s parents, Tammy and Jeff continue to support THON and our organization. We love spending time with the Zeiglers look forward to spending many more incredible THON Weekends with this amazing family. Last year, we were very lucky to have been blessed with be paired with the Megan Martin family. 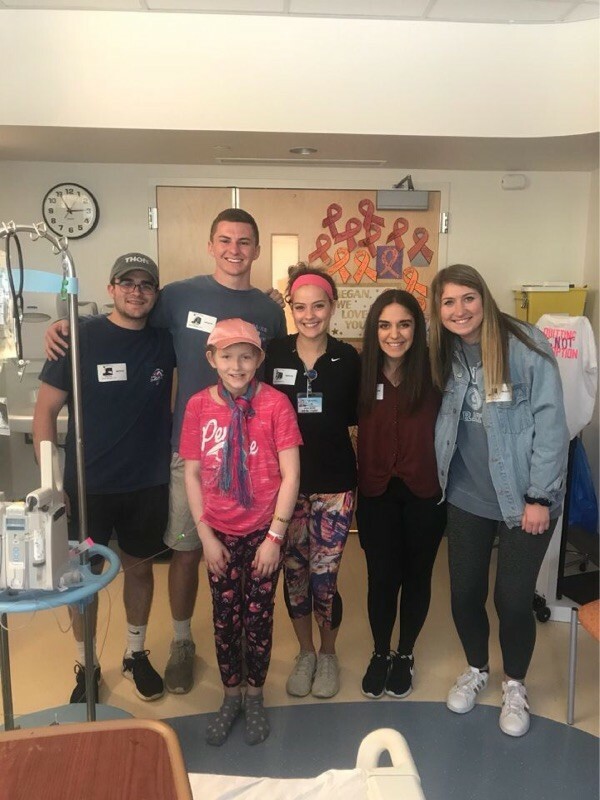 Megan recently left Hershey Medical Center to seek treatment at the St. Jude’s Children’s Research Hospital and since then her condition has significantly improved! We continue to support her through her treatment and look forward to forming a great relationship with Megan and her family. With your help, we can positively impact the health of future generations. 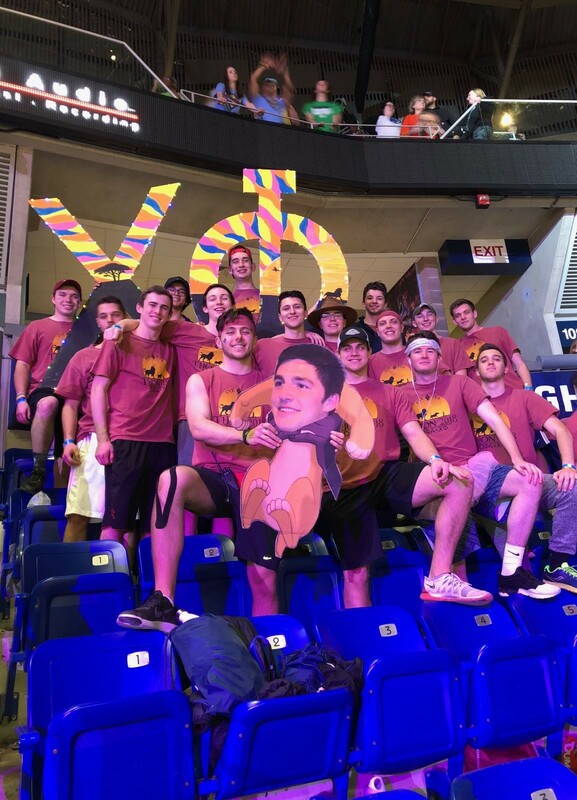 Please consider joining us in the fight against childhood cancer today by helping us reach our fundraising goal and making a gift to THON in the name of Chi Phi. We appreciate any and all donations made because we know that it will help a child in need. For Josiah. For Miranda. For Megan. For the kids. Chi Phi is a Greek Organization that works tirelessly each year to benefit THON. With the generous support of our large alumni base and our determined members, we provide both financial and emotional support to families impacted by childhood cancer each year. Since 1973, the Greek community at Penn State has united through the Penn State IFC/Panhellenic Dance Marathon.